Christophe Rousset’s orchestra, Les Talens Lyriques [@talenslyriques] invited me to play in their project comprising two performances and a recording of the opera ‘Les Horaces' (1786) by Antonio Salieri (1750 - 1825). On the 10th of October 2016, I travelled from London to Paris on the Eurostar [a marvel of railway engineering that I never fail to be impressed by]. Rehearsals with Les Talens Lyriques began the next day in one of the large rehearsal studios in the immensely impressive and architecturally unique Cité de la Musique in Paris. It is enthralling to experience the hubbub of musical activity in and around this building: orchestras visit from near and far to rehearse, perform or record; the Paris Conservatoire is on-site, and they have a museum housing a spectacular collection of musical instruments. The Musée de la Musique at the Philharmonie de Paris is a fantastic permanent exhibition. 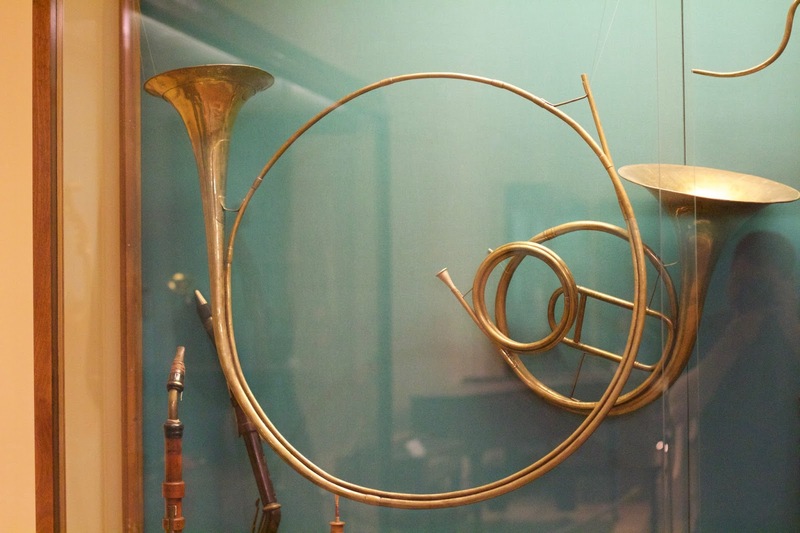 This national collection houses over 7000 items (in a custom-built museum), including many remarkable brass instruments and cornetti. 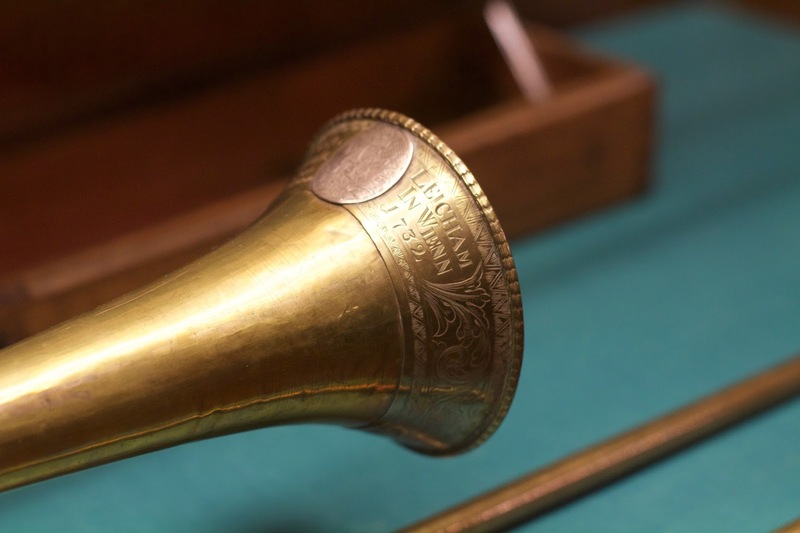 Instruments of particular interest were: a trumpet by Antoni Schnitzer from 1599, a beautiful horn (Trompe de Chasse) by Johann Leonard Ehe (1638 - 1707) and several instruments by the Haas family of makers. I could have spent hours in this incredible museum but I had to return (after our hour off for lunch) to rehearse. Les Talens Lyriques had been welcoming schoolchildren to listen to their rehearsals. These children had been visiting the Cité de la Musique and the Musée de la Musique. By attending a small part of our rehearsal, the students were able to experience the sound (and working environment) of a period-instrument orchestra. It is fantastic that young people are being introduced to the Cité de la Musique as it is so important that they feel included in these cultural activities. The Cité de la Musique has the mission of 'promoting all forms of musical creation and of transmitting these to widely diverse sectors of the public’ and in my experience, it is certainly achieving that. After a few days of rehearsals at the Cité de la Musique, the orchestra relocated to Versailles. Rehearsals took place in the magnificent Opéra Royal de Versailles. We were each provided with a visitor’s pass - which gained us free access to the Palace of Versailles. Not one to pass on a free opportunity like this, I spent the morning before the performance marvelling at this ornate palace. The performance at the Opéra Royal de Versailles was wonderful. The orchestra performed on-stage and the soloists walked in front of the orchestra for their entries. It was a thrill to perform Les Horaces in the exact venue where it was premièred in December 1786. Our performance was recorded and we spent the following day recording in case patches are needed for the eventual CD release. After performing at the Opéra Royal de Versailles (the venue Les Horaces was originally premièred), it seemed fitting that we should travel to the city in which Salieri had lived and worked for most of his life: Vienna. Salieri had first arrived there on the 15th June 1766. 250 years later, Les Talens Lyriques were in Vienna to perform at the Theater an der Wien. The performance at the Theater an der Wien was in a different configuration to the performance at the Opéra Royal de Versailles. This time, the orchestra performed from the orchestra pit and the soloists and choir were situated on the stage. This was fantastic for us as we could clearly hear their wonderful singing from within the orchestra. We played from an edition by Nicolas Sceaux which had been specially commissioned by Les Talens Lyriques and the Centre de musique baroque de Versailles. The opera had some quite complicated entries for the trumpets and we were involved in quite a lot of it. We played in the overture in D, changing crooks to be in C for the vast majority of the opera with one entry B-flat. There were then more entries in C, before returning to be in D for the finale [N.B. all pitches at A=430Hz]. Our trumpet and timpani section consisted of Russell Gilmour on principal trumpet, William Russell on second trumpet and David Joignaux on timpani. David was an excellent timpanist and a great addition to the trumpet section. The parts for Les Horaces were excellent but the opera was really quite complex - the recitatives often blurred into or out of arias or choruses without any obvious or audible change of movement - so we decided that we would feel safer following a violin part in-between our entries. Generously, the sheet music for Les Horaces is free to download on a Creative Commons Attribution License, as the scores were published with the support of la Fondation d'Entreprise Philippine de Rothschild. The opera itself was compelling throughout and it was flawlessly directed by Christophe Rousset. Some of my personal favourite moments of the opera came from the character Camille, sung by the incredible soprano soloist: Judith Van Wanroij. All the singers, including the choir Les Chantres du Centre de Musique Baroque de Versailles, were excellent and the choir had been expertly-prepared by their chorus director Olivier Schneebeli. This was my first visit to Vienna and I was so excited to be there. I enjoyed wandering from the hotel through the MuseumsQuartier and the Hofburg Palace to explore the city. I had decided to stay for a few days after the final performance and my girlfriend had travelled out to join me. 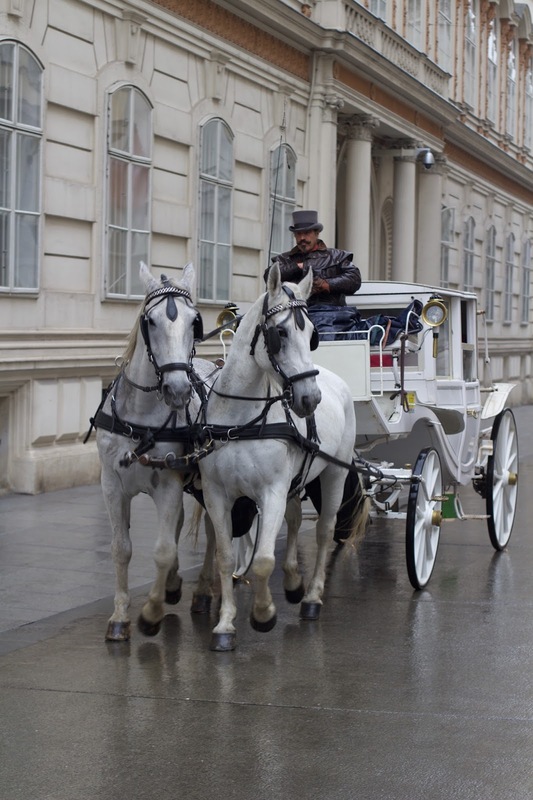 Together we explored the cultural delights of Vienna, including the Kunsthistorisches Museum. Despite the crowded room, viewing Vermeer’s iconic painting - 'The Art of Painting’ - sent shivers down my spine. The image depicts an artist in his studio, painting a woman dressed in blue, standing in front of a map of the low countries, holding a large tome and a natural trumpet. Vermeer obviously had an affinity towards this painting as he never sold it during his lifetime. There were rooms full of incredible objects: fine ivory carvings, Ancient Egyptian paraphernalia, ornate engravings and reposée work, and other incredibly famous paintings - including my girlfriend's favourite: a portrait of Jane Seymour from 1536 by Hans Holbein the younger. 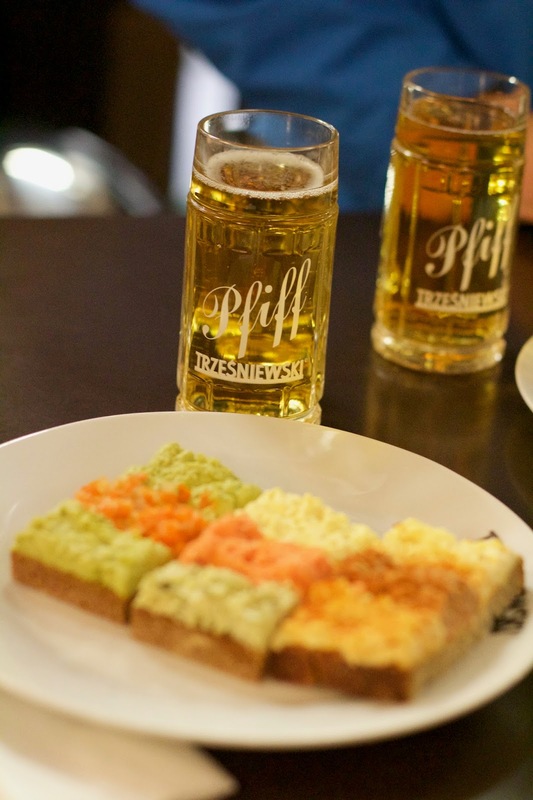 We explored several of Vienna’s cafés and restaurants, including some of the famous ones: Demel Hofzuckerbäcker, Figlmüller, Café Mozart and Trześniewski. 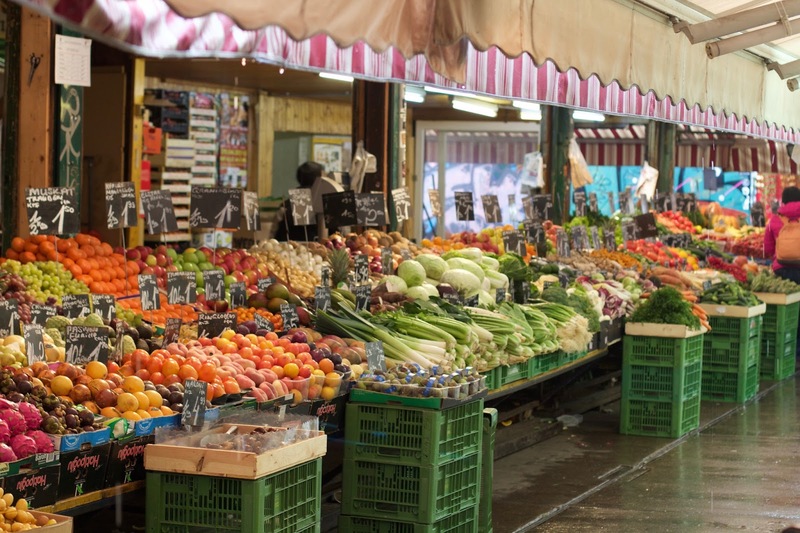 Another highlight was wandering around the vibrant Naschmarkt. 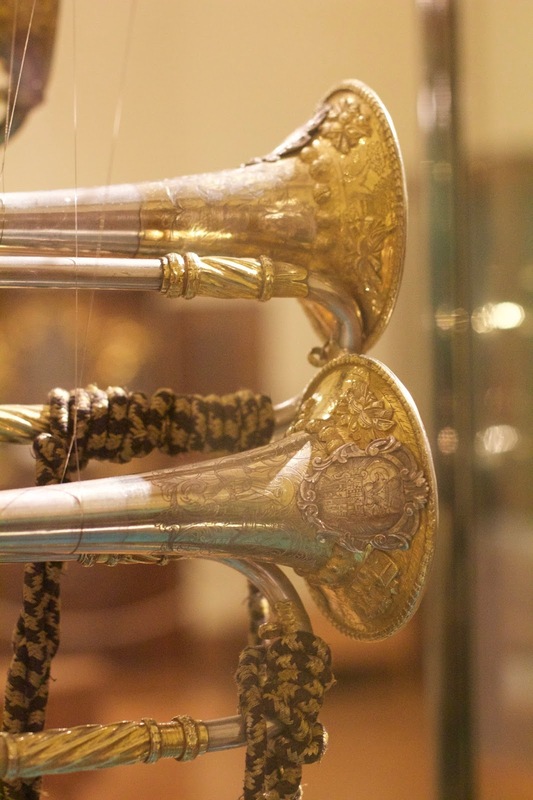 ...along with two more trumpets by Anton Schnitzer, one of brass, shaped like a pretzel and the other (from 1581) of gilded silver, in the more usual format, with the most intricate decoration I have ever seen on a trumpet. 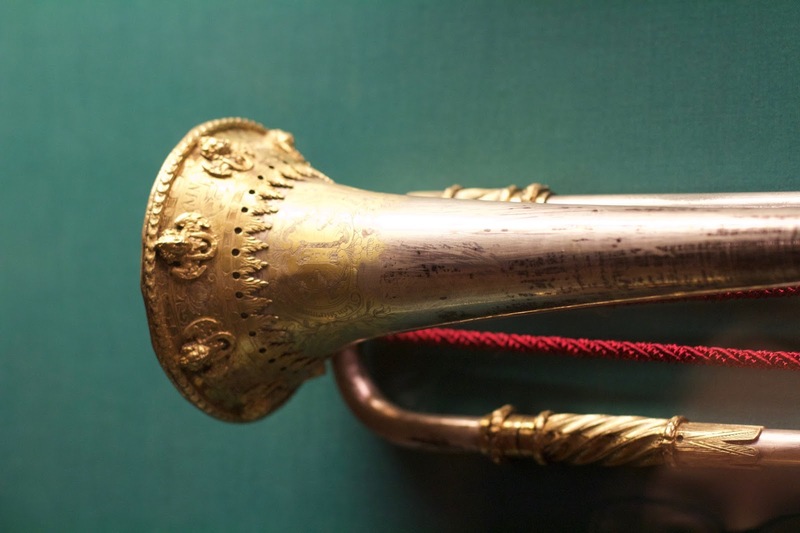 Seeing the two Schnitzer trumpets in Vienna, in addition to the one I had seen in Paris, leaves only one more of his trumpets to see: the trumpet from 1585, in the Accademia Filarmonica in Verona. Visiting the Musée de la Musique in Paris and the Collection of Historic Musical Instruments in the Kunsthistorisches Museum in Vienna in such quick succession was fantastic and it punctuated the trip with similarities and differences. It was great to explore Vienna with no fixed deadlines. We spent one morning at the wonderful Schönbrunn Palace. Reminiscent of the earlier trip to Versailles, this visit gave a certain symmetry to the trip for me. This tour had featured Salieri, Chandeliers, Schnitzer and Schnitzel and it was an unforgettable experience. It was great to meet so many new people and to explore these fantastic places and cultures. Thanks to all at Les Talens Lyriques for organising it.